Is it a slipper, is it a shoe or maybe it’s a sandal? 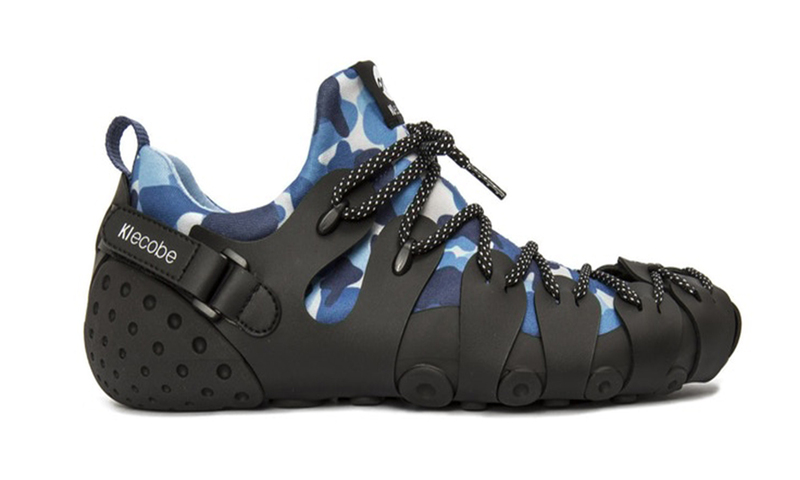 KI ecobe footwear is a new initiative that combines all of this into one unified design. The unique model can be assembled and disassembled using modular parts which work together to form three pairs of shoes. This is where you get to play around and be creative, because you get to assemble the shoe. Each part serves a different function which allows for an effortless transition between home, outdoors or the beach. The shoes are specially designed to use non-toxic adhesives so that parts can be easily interchangable. KI ecobe parts can be easily recycled and replaced, because you only purchase specific parts as you need. Because of its unique modular design, the KI ecobe is highly customisable. It even comes with an app for you to choose a colour and material of each individual part to custom build your own shoe on the online store. You become the designer. KI ecobe has up to 10 125 possible combinations. The shoe is made up of the KI strap, washable inboots, outsole, shoelaces and insoles. You choose your own colours and easily assemble your shoes to match your outfit, your mood, or your environment. This encourages you to built the shoe around your lifestyle. It’s easy to assemble, just have a look at the video below. GyuDeog Kim designed KI ecobe to address a big problem he witness through his twenty-five years of developing footwear – the use of toxic glues in the manufacturing industry. 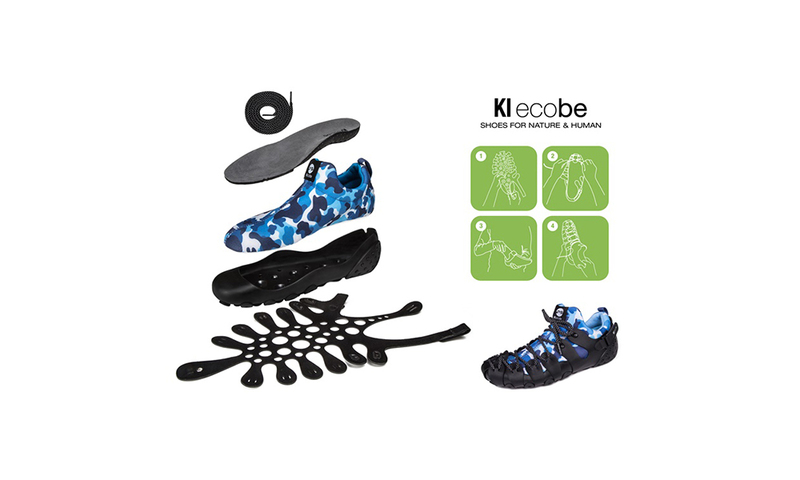 The KI ecobe shoe promotes sustainability and a healthier manufacturing environment for factory workers because the manufacturing process is less labor intensive. The project is currently seeking funding on Kickstarter, if you want to be part of the footwear revolution. Pledges start at about R896.04.